If you love a challenge and are looking for an exciting new venture, join our team. Our ethos is working together to provide outstanding healthcare to our community. Whatever your interests, skills and qualifications, whether you want a permanent role or something more flexible through our in-house Trust Temps, we have a role for you. Our recruitment team will help you along the way so that your experience of working with us is a great one right from the outset. As a centre of excellence for Neuroscience, Stroke and maternity services, we are continuously seeking to improve the care we provide for patients. We work in partnership with UCLPartners to offer the best training and development programme for our staff. We have recently secured a place on a ground-breaking scheme to transform the care we provide for patients - the Virginia Mason Institute Development Programme - and are one of only five Trusts in the country to take part. We are also one of eight new, national, vanguard sites who will help spearhead transformational change in urgent care across the country. We're driven by our PRIDE values of Passion; Responsibility; Innovation; Drive and Empowerment, which inspire us and keep our patients at the heart of everything we do. We care for a population of around 750,000 and with around 6,500 staff and volunteers working at our Trust, we have a real sense of community and togetherness. Our major sites – King George Hospital in Goodmayes and Queen’s Hospital in Romford – are in excellent locations, less than 30 minutes from central London, easily accessible to the coast, and even closer to the Essex countryside. Check out our full range of benefits in our Why work for us? section. Queen's Hospital is located in the London Borough of Havering and, thanks to support from colleagues at the local council, a new website allows you to find our more about what it's like to live and work in Havering. 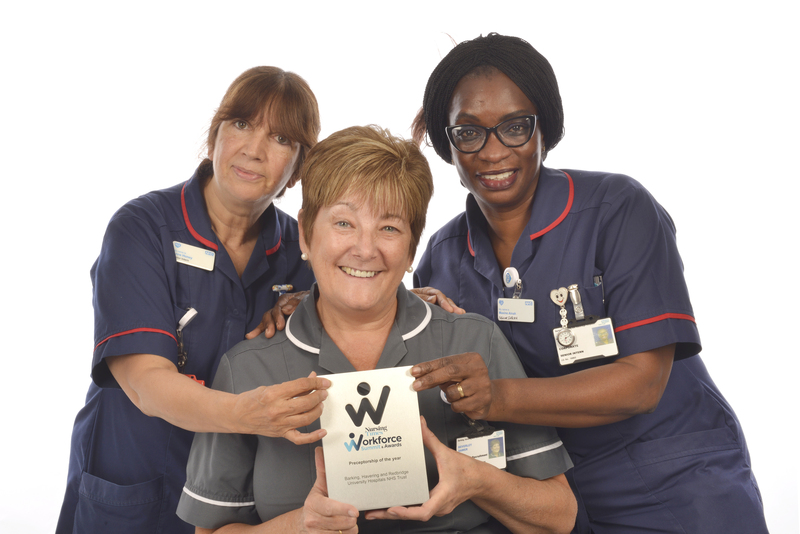 We won at The Nursing Times Workforce Awards 2018 and are so happy to have gained national recognition for our innovative approach to retention.